Elephant Games proudly presents the newest addition to the Christmas Stories Series! Everybody knows that Santa gives presents to nice children, but who visits the naughty ones? After your sister does something bad, Berta the evil Christmas spirit and her mean elves take her away. The only way to save her is by performing good deeds and helping make the holiday season more cheerful for others. With the help of Jack Frost, can you save the holidays before it’s too late? Perform three good deeds to save Christmas for three families! While the mice are away, the cats play at the Cat Ball in the bonus chapter! Replay mini-games, HOPs, and check out the collectibles! Never get stuck with the included strategy guide. 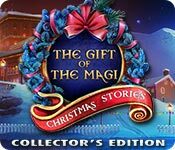 Christmas Stories: The Gift of the Magi Collector's Edition is rated 3.9 out of 5 by 80. Rated 5 out of 5 by MIZUNI from A True Holiday Fun Fun Factor: I enjoyed this game immensely, from the familiarity of the story, the whimsical and original elements, and surprises here and there. Visual/Sound Quality: Very fitting for a Christmas game. It doesn't give you thrilling music - one that usually makes you anxious before the big scene - so it's quite relaxing. Level of Challenge: I chose the middle difficulty and I think I chose right because I didn't feel like losing my head over the puzzles. The HOS are mostly simple. There are two puzzles that'll remind you of old games (one of them is actually hard). Storyline: It's concise. We get a brief opening and do three good deeds, which means three stories. The first one would be familiar with most people I think. The second and third are pretty original. Though the second one made me doubt if it was a "good" deed. The third brought an unexpected surprise for me. The overall ending is very sweet. CE content: The bonus game is so adorable! We get to help Fairy Godmother help Cinderella to go the ball. But both of them are cats! And so are the dressmaker and the prince. There are also mice as the Tailor Cat's assistants and horse. There are two collectibles, puzzle pieces and Santa Claus/dwarf (?) statuettes; achievements that span over the bonus game and the Secret Room (It's unlocked after you finish the bonus game. It's an HOS but with morphing objects); concept art; screensavers (made from the collected puzzle pieces); wallpapers (I was mildly disappointed since most of the wallpapers only feature scenes from the first story and the bonus game); music; HOS and puzzles. It's a very fun game and I would love to play it again. Enjoy! Rated 5 out of 5 by Bumbles2 from A beautifully done game in all aspects !!! Everyone in my household which includes my G'Kids have had a hard time leaving the game. I literally disappeared while playing this game...it was so enjoyable and relaxing. The music was very pleasant and the artistry was incredibly well done...in fact the whole story brought back some childhood memories. Everyone has pretty much covered everything I wanted to say...try the demo and I think you'll be pleasantly surprised too. Merry Christmas and Happy New years and Peace and Good Fortune to you and yours !!! Rated 5 out of 5 by Boomer1097 from Excellent Game This game was so nice for the Christmas season. Your sister has been taken by an evil spirit and you have to complete several good deeds to free her. You have a couple helpers along the way, which was so much fun. The three "chapters" of the main game are engaging. There are collectibles to search for throughout the game. The graphics are very nice, the music was pleasant, the voice-overs were well done. The HOS were varied and fun to play. The mini games were fun for the most part. The ending to the main game was very satisfying. The bonus chapter was not as engaging. The secret room was quite entertaining. The other bonus content is what you would expect...music, achievements, replay HOS, replay mini games, screen savers, etc. I would skip the bonus chapter, but the other bonus content and the secret room are fun. I recommend this game. Rated 5 out of 5 by grdmaof5 from Loved this game! Loved everything about this game. The bright colorful themes. And all the bonus games. You wont be disappointed in purchasing this one. Rated 5 out of 5 by jenjarrett from Good as ever This game doesn't disappoint. 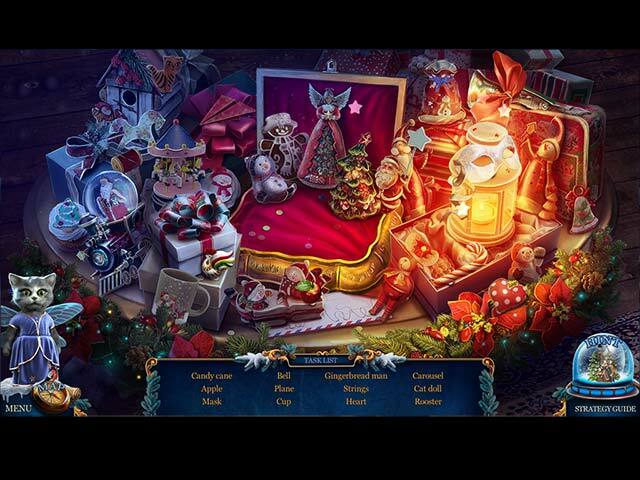 Same good old Christmas magic, touching stories, kind-hearted characters, sweet music and charming graphics. A perfect game to spend a relaxing holiday evening. Rated 5 out of 5 by puzzlegrandma from Looking forward to Christmas Stories every year Maybe I am old fashioned, but I really like the Christmas Stories every year and I enjoy playing them. The music puts me in Christmas mood and I enjoy the winter landscapes, since I rarely see snow here. The graphics are beautiful, the story line like the fairy tales we know. I hope there is another game every year! 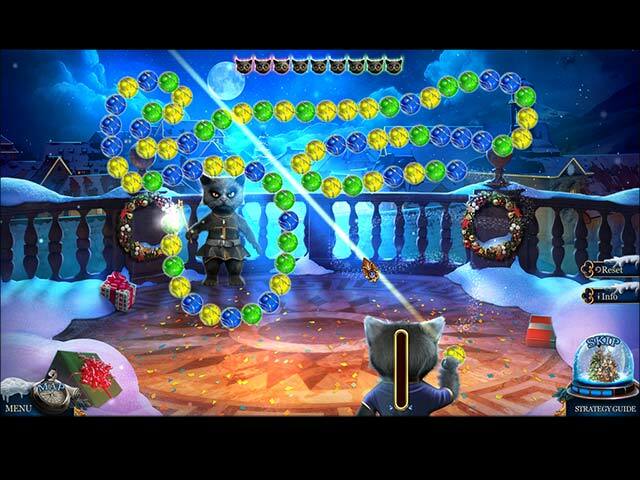 Rated 5 out of 5 by Smi87 from Great Christmas cozy game Loved every single minute of it . Amazing graphics , wonderful story and lovely HOG . Gave me this nice warm cozy feeling, and i wished i could play it forever . Rated 5 out of 5 by watson13 from The Game is a Real Cristmas Gem This game is one in a thousand. It is not only beautiful and enjoyable. It is perfectly done in the spirit of Christmas. The story is wonderful and you can't stop playing because it is a real pleasure to the eye and mind. The HOGs are bright and fun to play. The mini games vary from easy to hard. And you can even crack the hard ones if you spend more time. My special thanks to the creators of this magic game! Like one character remarked it is purrfect! Rated 5 out of 5 by Brandywine_Valle from A Visual and Musical Treat! Exquisite visuals and soft, lovely, pleasing music. Rated 5 out of 5 by mrsakris from Thoroughly Enjoyable & Festive I always enjoy the art in these games. The story is quite good, and not what first comes to mind with the word "Magi". I enjoy the consistency of the cats (so, yes, I'm a cat person) throughout these games. Little hints of past games make these very fun if you haven't tried one of the series. Good puzzles and lovely art make for a difficult to stop game. I stayed up way too late the night I bought this. 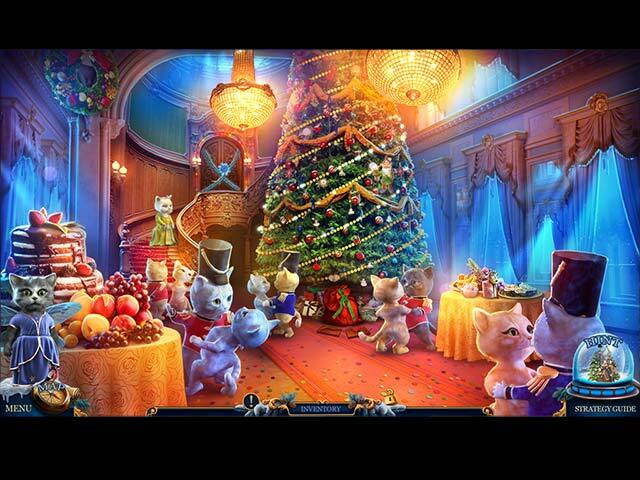 I encourage you to try it if you like charming seasonal games. I give this company much credit. They do fine work.